One of the young ladies at my trusted UPS store just had a baby girl. For a change, I decided to crochet some gifts for her baby. 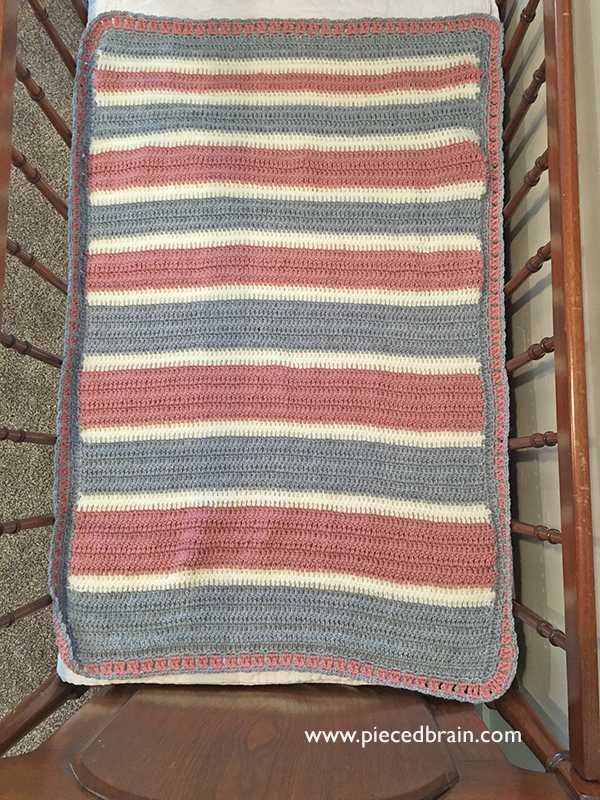 Crocheting or knitting gifts for babies is one of my favorite things to do. 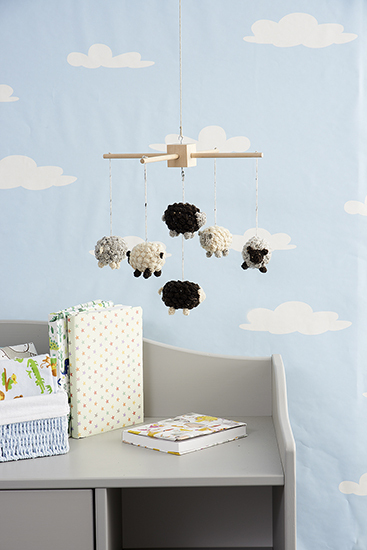 In fact, it was one of my favorite gifts to receive for my own babies. I have kept all the beautiful items they got, as well as the baby afghans I made for each of them. I guess I need to write another post to show them to you! 9 Months to Crochet by Maaike van Koert, published in the US by Martingale is great for when you need ideas for gifts for babies. 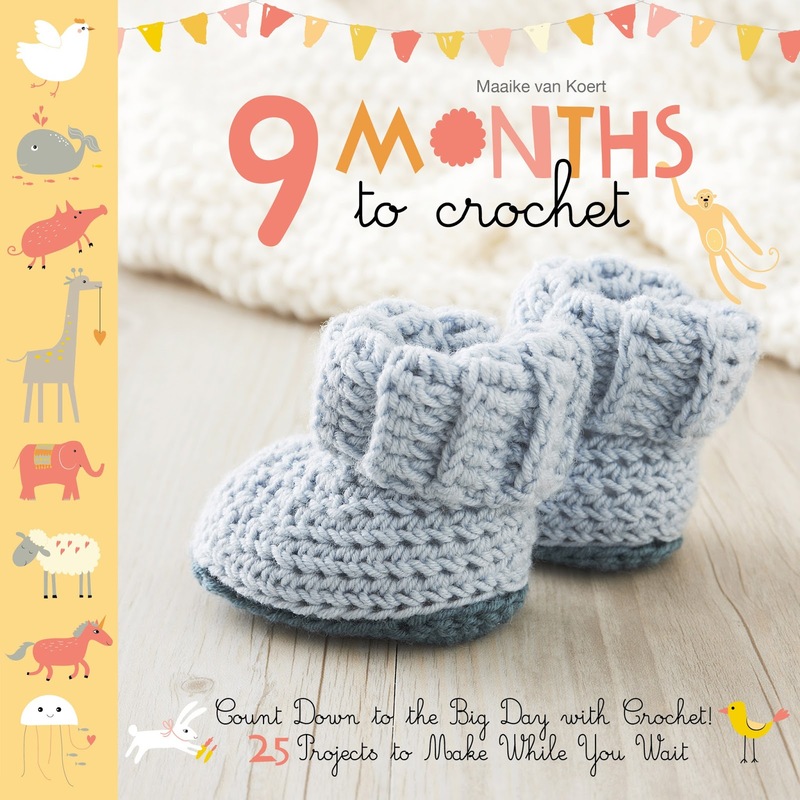 However, the book itself would be a very original and useful gift for expectant mothers! Maaike's projects are reminiscent of the ones I've seen over the years, except for the modern twist she gave to each one. 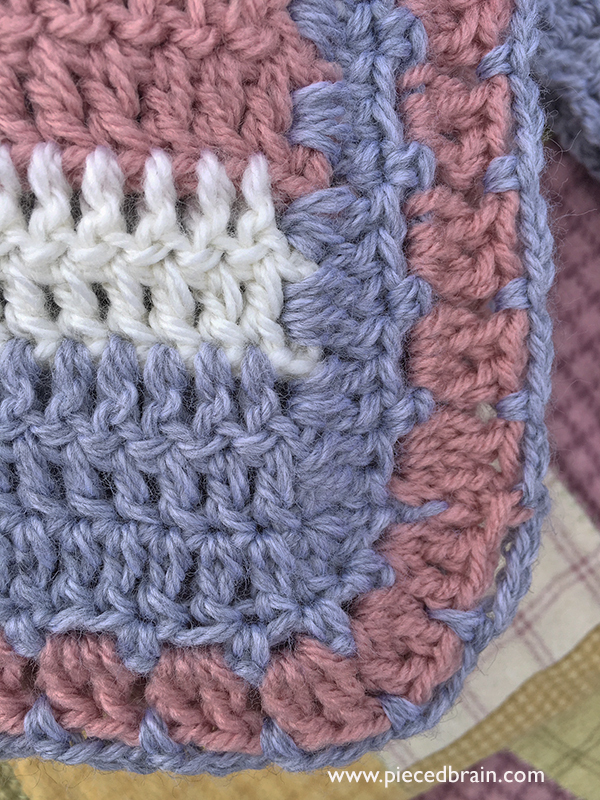 Her choice of stitches and colors is perfect for today's nurseries and beginner crafters. 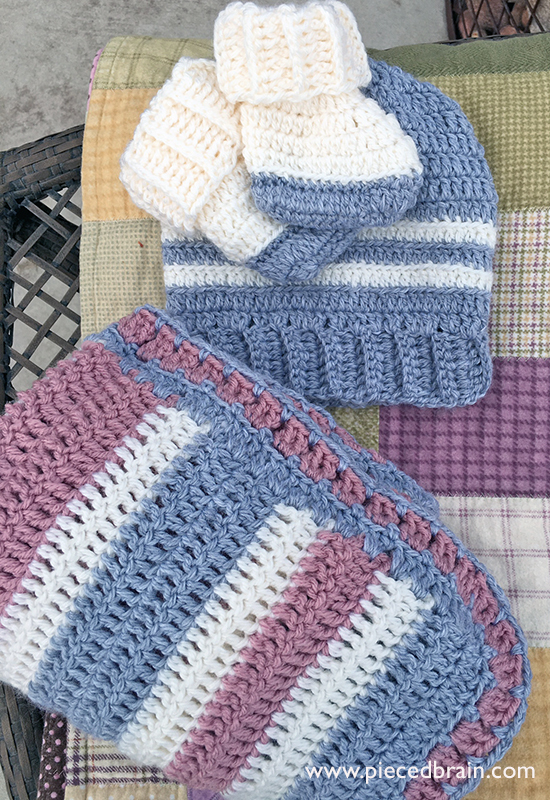 However, even seasoned crocheters will enjoy them precisely because of her fresh ideas. Maaike divided the book into three chapters corresponding to the three trimesters of pregnancy: beginner-level items for the first trimester, a bit more challenging ones on the second trimester when expectant mothers are feeling better, and quicker projects for the third trimester as they rush to get everything ready for the big day. Genius idea!!! Onto my projects: I had never made booties before; luckily for me, the pattern was very easy to follow. Then, I moved on to the hat but could not stop there because I was having so much fun! Photo by Simon Pask for Quantum Books. Used with permission. Where is Brent Kane, Martingale's photographer, when I need him? He is a master at staging! ... and its simple edging made it possible for me to listen to a book while I was working. Double relaxation as I did not have to count stitches, just rows. 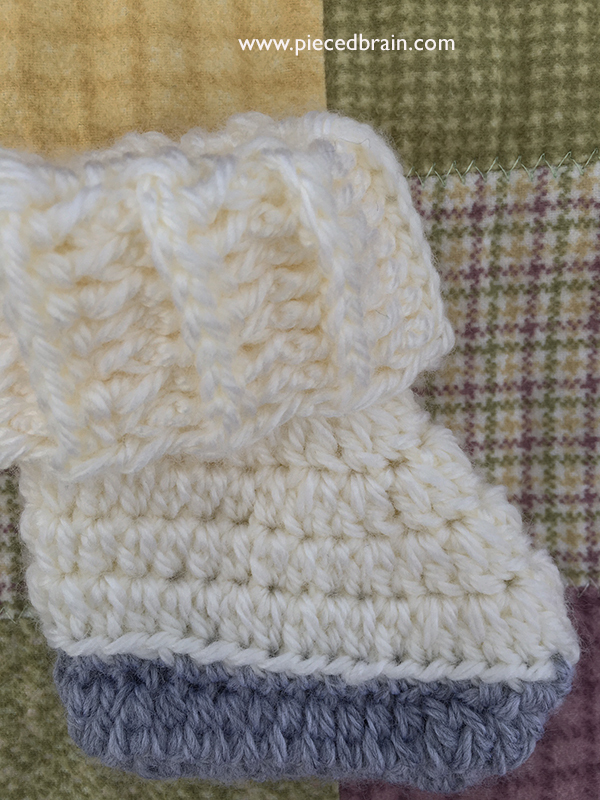 I worked with Bernat Softee Baby yarn in gray (Flannel) and yellow. The rose yarn is a little thicker, but the store was not open at midnight when I needed this color, so I used what I had in my stash. 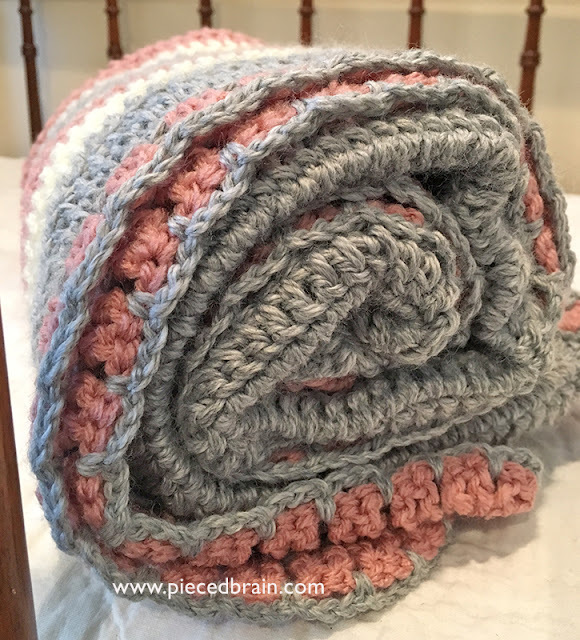 Although I have been crocheting since I was 6 years old (my maternal grandmother taught me), when I read patterns in English I need to refresh my memory as to which stitch is which. 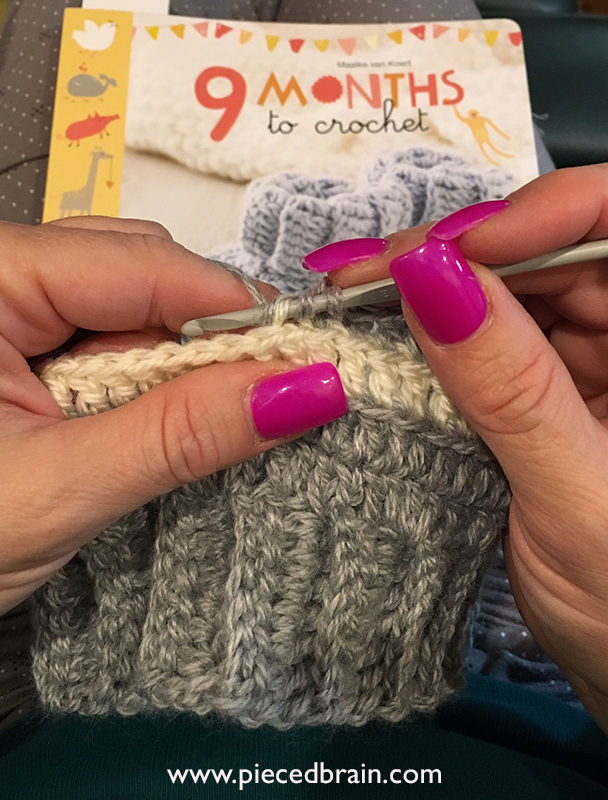 I always rely on quick guides, so I appreciated so much the sections at the end of the book with step-by-step photographs for each stitch. Isn't it the cutest thing ever? And then there is a banner, a ball, hanger covers... which is another reason why I like this book as the projects are for the entire nursery - not only for the baby. Baby gifts made and delivered. I received this book just in time, phew! Speaking of books, I read on Martingale's blog that they are having their semi-annual warehouse sale with 90+ titles at $5.00 each (What? ), from March 13-23 until supplies last. Headed over there now. See ya! 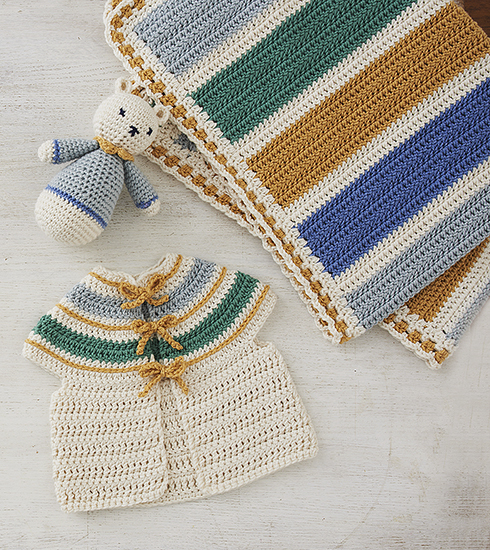 Oh that's such a sweet present - I'm another fan of making knit and crochet baby things, they're just so adorable!